When the question is “what will get rid of my cold?” This post relates to my personal viral episode. Gizmodo recently scientifically challenged the theories that alcohol can cure a cold. Firstly they explained that to have enough alcohol in your bloodstream to kill the virus (60%-80% ethyl alcohol) you’d kill yourself first, as usually a concentration of 0.2% will render most of us insensible. Then they showed that the alcohol doesn’t disinfect your throat, or soothe it but in fact simply numbs your pain response and can actually further dry out the tissues of the throat, making things worse. Concluding with an “amusing anecdote” about a submariner gargling with 99% alcohol. Lastly they reported on a study by Carnegie Mellon University in 1993 on the relationship between smoking, drinking and the common cold. 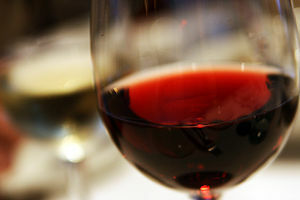 Those who smoked got sick more often, smoking and drinking brought average results whereas drinkers got sick less – with those who drank 14 glasses of wine per week, especially red wine, being 60% less susceptible to colds. This is probably down to the antioxidants in wine and dark beers like Guiness – which is good news for me, I enjoy a good dark beer. I have a slightly different opinion on the use of red wine in regard to colds. I think that drinking it would not be of much help, but if you gargled with it immediately on getting a hint of a sore throat, you would have far fewer colds. The antioxidants might be helpful also, but I have found that diluted alcohol is effective against bacteria as well as viruses–even for cold sores. That’s an interesting point worth trying out next time. As is the article on your blog – I’ve tried mouthwash (for its alcohol content as you say) on spots and so on in the past but as you say you’d have to give it enough time to soak in.